Guitar Nights The Four Martins download free. The Four Martins is a fascinating blend of four acoustic guitarists, including Juan Martin (flamenco) and Martin Taylor (jazz) plus Martin Carthy and Martin Simpson, both of whom come from the folk tradition of the British Isles. The 90-minute concert is a mixture of numbers drawn from each of their backgrounds, though the results are truly world music. 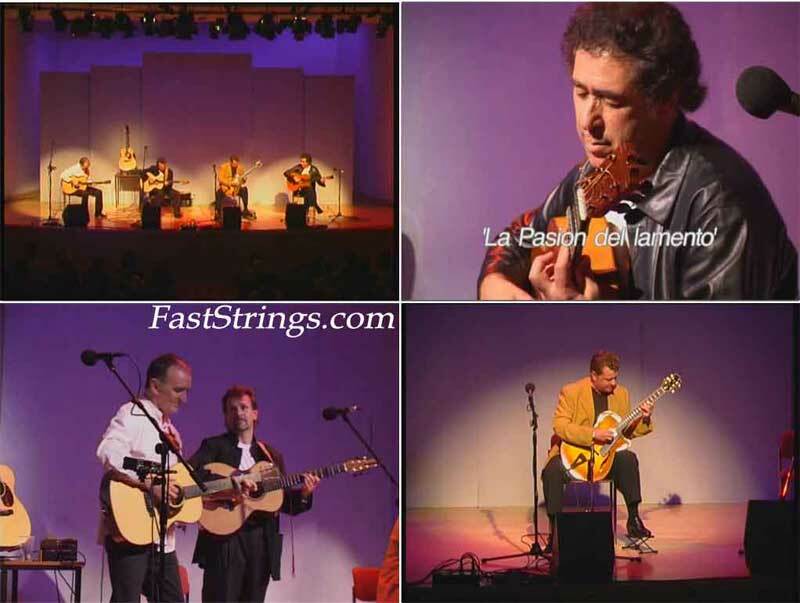 All four men are featured in the richly textured flamenco “La Pasion del Lamento,” with Martin and Taylor exchanging the lead lines and the folk artists providing rhythm accompaniment. The roles are reversed for the folk tune “Glass of Water,” sung by Carthy. The quartet also performs the explosive Latin number “Vuelo” and a rollicking New Orleans-flavored blues, “Barrack Street Stroll.” Each musician is also individually featured, with the most impressive track being Taylor’s medley of “Kwame” (an original inspired by hearing five African drummers playing individual lines together) and Earl Klugh’s “Kiko.” The bonus features, all of which are excerpted separately from the main concert, include individual solo performances by Martin, Carthy, and Simpson, along with interviews with the artists, a guitar lesson by Taylor that explains how he composed “Kwame,” plus a collection of still photos and biographies. Have you got any DVD to upload about Brazilian music? Course, or something else?